When we asked you guys to show us your party, we had no clue that there were a bunch of event planning geniuses out there, at the ready with sparkles and fondant and bunting… oh my! 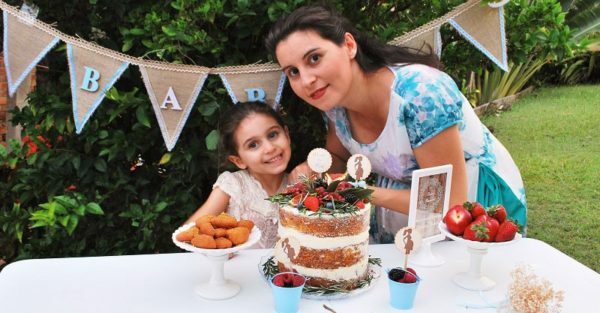 Not only were there a cake-load of inspiring ideas to be garnered, it was super-obvious that you love celebrating the adorable little people in your life! We’ve arm-wrestled and coin-tossed our way to a gorgeous final five, but would like to stress that these best-of-the-bunch were chosen from an outstanding field. Thanks to everyone who shared their gorgeous parties. Lynda’s handmade baby shower – planned with the help of family and friends – featured handmade invitations, pretty candles, touches of blue and one of the loveliest cakes we have ever seen! It’s all in the details, and Lynda’s personalised bomboniere and rocking horse adorned goody bags really caught our eye. Heidi Stevenson started with an idea for an Alice In Wonderland-themed cake for nine-year-old daughter Belle’s party, and then levelled up, hatching a whole bunch of clever creations for her daughter’s big Alice In Wonderland birthday. 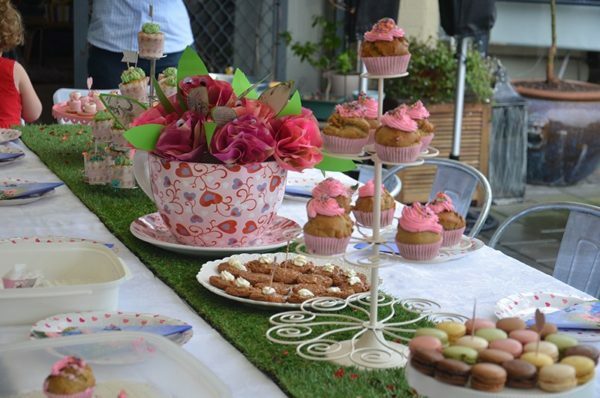 Oversized tea cups, croquet mallets and “Eat me!” cupcakes were the order of the day. 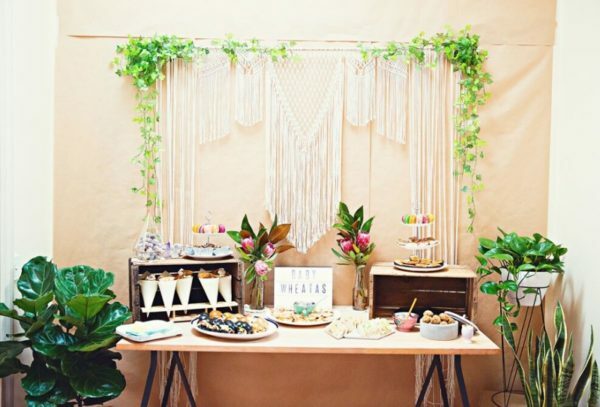 This bohemian baby shower looked like it had stepped straight out of a cool San Francisco Instagram account, with leafy green plants, macrame wall hangings and lots of natural, neutral details. Lemonade, macaron, doughnuts and sliders were on the menu at the event, designed by Anna’s sister, Bianca. “I didn’t want the traditional pink or blue party and I love natural materials, fibres and plants so I drew my inspiration from these things,” Bianca says. Joshua’s mum Tanya owns Life’s Little Celebrations, a kids’ party-focused website and blog, so it was a given that the little guy’s party would be something to behold. 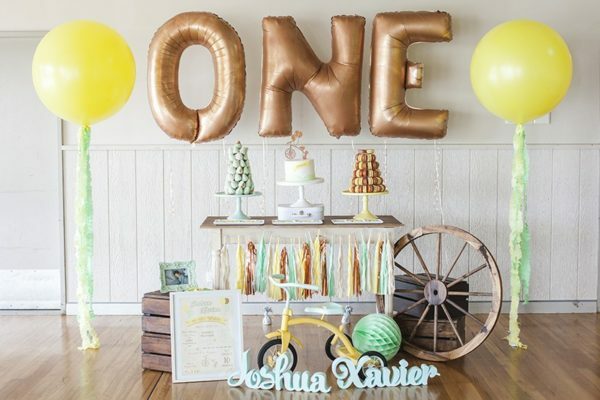 Joshua’s vintage tricycle-themed party did not disappoint. A mint, yellow and copper colour theme combined with vintage props and pastel tones to create party perfection. 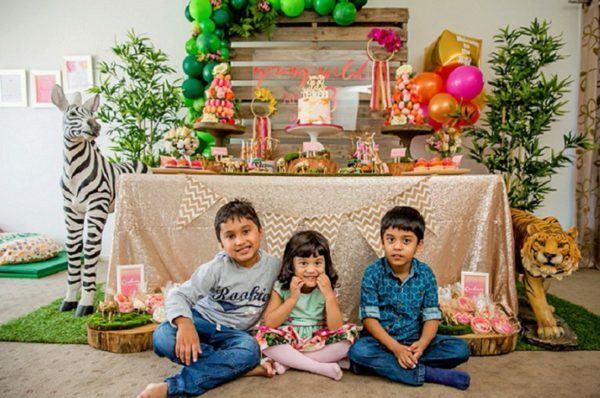 When Enaya turned three, mum Lopa Chowdhury hatched a ‘Young, Wild and Three’ party for her daughter. Lola is a party planner with Pumpkin Carriage, and executed an amazing fête, with a dessert buffet, entertainment and wild animal imagery for 50 adults and 25 kids… all with just 2 weeks planning! Thanks to all the amazing families who shared their parties with us in 2016. If you’d like to tell us about your party or baby shower, get in touch via our Show Us Your Party page.